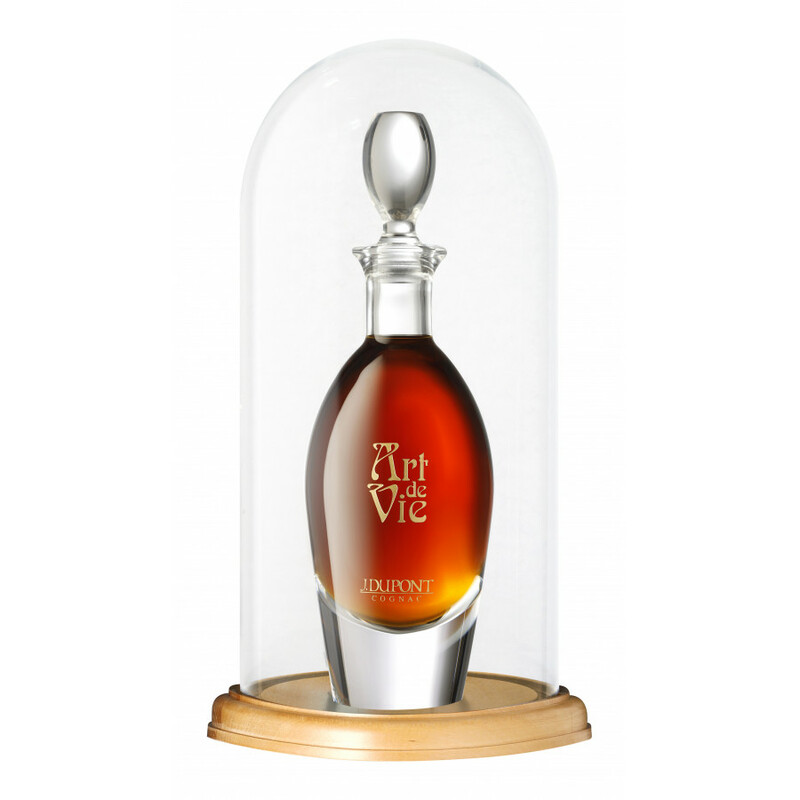 The J. Dupont Art de Vie is not simply a Cognac; it's a work of art. Created from a very exceptional marriage of some very rare and old eau-de-vie, each having been aged from 50 – 70 years, this is truly a Cognac to be treasured. It's a Grande Champagne delight, and represents everything the brand of J. Dupont holds dear: the meeting of expertise and tradition. And the brand certainly has both, with the knowledge and passion of Cognac creation having been handed down through the generations since the inception of the brand in 1872. The Cognac is presented in a stunning luxury crystal decanter, encased in a glass bell and gift box, with a booklet containing fascinating information about both the brand and the Cognac. The precious liquid itself is literally bursting with flavors and aromas. Fruity, spicy, and oaky, it's a testimony to the brilliance of the Cellar Master and his ability to choose the most precious eau-de-vie that combine to create such an ultra-premium Cognac. Of course, something this special is certainly in limited supply: 365 decanters to be exact. This makes it a truly sought after Cognac, and one that will have the connoiseurs and collectors keen to make their own. A remarkable Cognac, and a stunning objet d'art. This is a Cognac that will only become more valuable as the years go by.